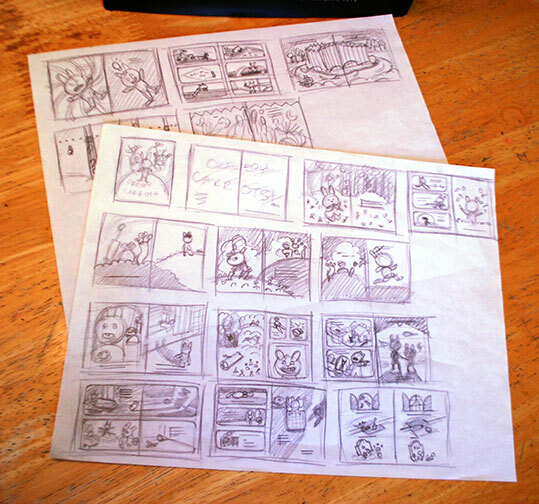 When I started to thumbnail my first manuscript that I wrote, ever, I froze up. It was terrifying! Where to start? I made several pathetic attempts, but I was good and stuck. I decided to apply the same trick as in my last post. 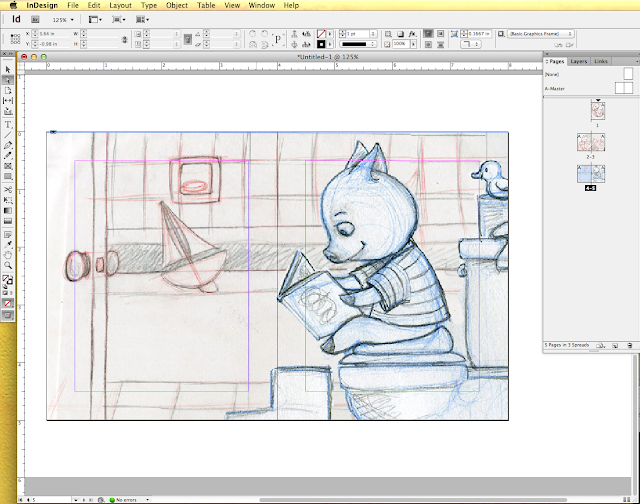 Not tracing, but thumbnailing existing books. Not just any books — epic books! I choose Creepy Carrots and No David! 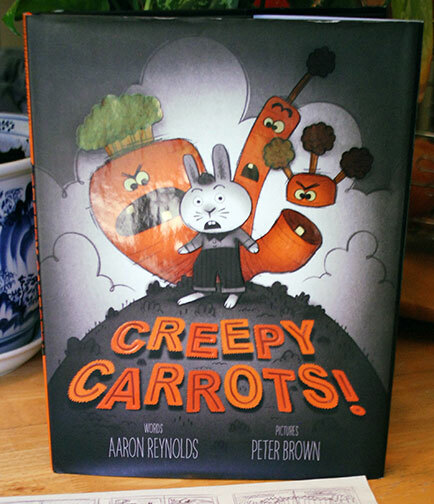 Creepy Carrots is a favorite of mine by Peter Brown. This book is awesome in so many ways, but for this exercise, I chose it because of his wonderful and varied compositions. The key to this exercise is not to worry about making a pretty dummy, it’s all about seeing the big picture and capturing the essence of why a particular book is working. I found it also helps me to think bigger than I would if I hadn’t completed this exercise. Just like when I traced drawings in the last post, this exercise really opened my eyes to all of the possibilities! This is really just a trick to get me past my initial fear of starting. 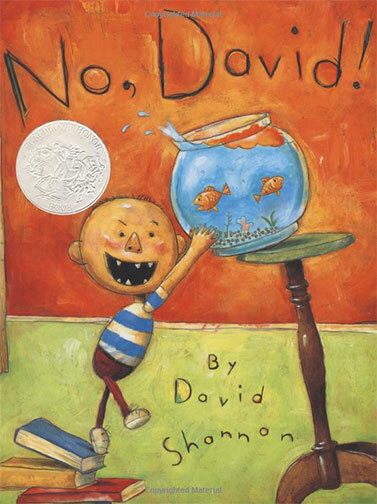 For the second book, I chose No David! It has a simple premise and very few words, just like my manuscript. I have read this book over and over to my kids. I’ve listened to David Shannon speak at an SCBWI Illustrator’s Day, but it wasn’t until I thumbnailed the book that I noticed the genius of his compositions. The different angles and the brilliant use of space became clear. 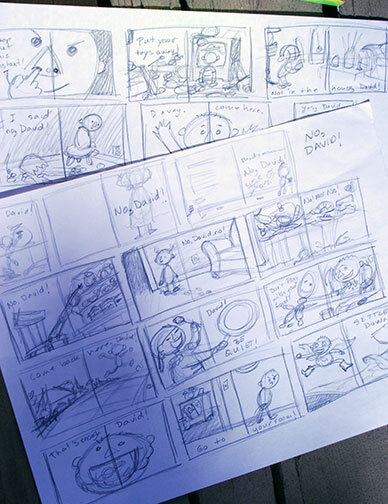 Thumbnailing David Shannon's No David! I urge you to try this exercise! Good luck! Creating a book dummy can be a daunting process. I welcome anything that makes it easier! I've found that InDesign by Adobe is the perfect tool for a project this size. There are lots of other articles on creating dummies. Here, I just want to give you a peak at how I use InDesign in my process. Drag to add pages in the Pages palette to your document. 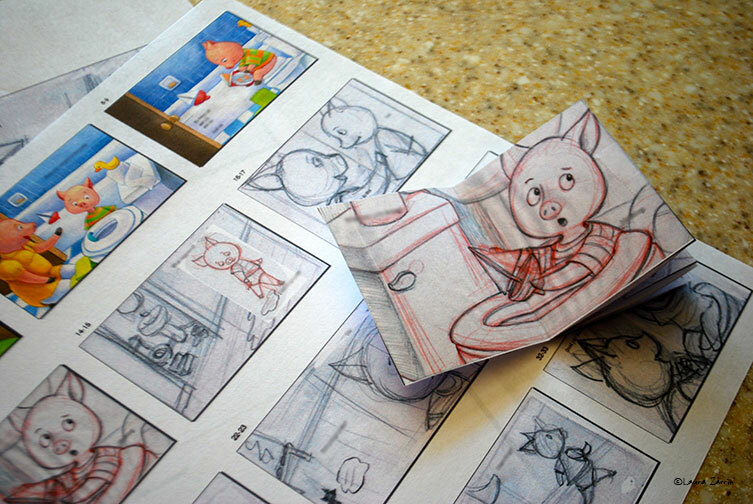 I scan in my thumbnails, place them on the pages and adjust the size to fit the page. Using InDesign allows me to then print out thumbnails of the entire dummy on one or two pages. This makes it easy to figure out text placement, flow, page turns, etc. I love this feature! It saves tons of time for me. 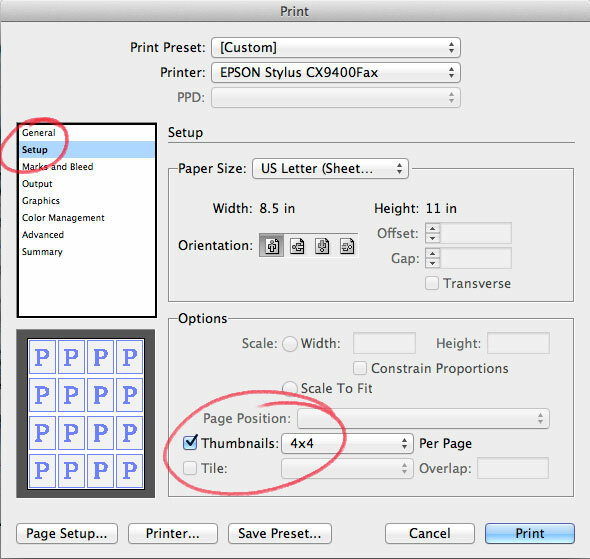 I print at the 4x4 size which gets the whole dummy on two pages. I also use it as a to do list of sorts to track my progress on a project. I check it off page by page as I work. As I complete more finished drawings, I replace the roughs. Later, when I'm painting, I scan and add each page as I go. It gives me a great sense of accomplishment as I see the finished pages multiplying and the book really coming together. As I'm working my way through more finished drawings, I replace the roughs. 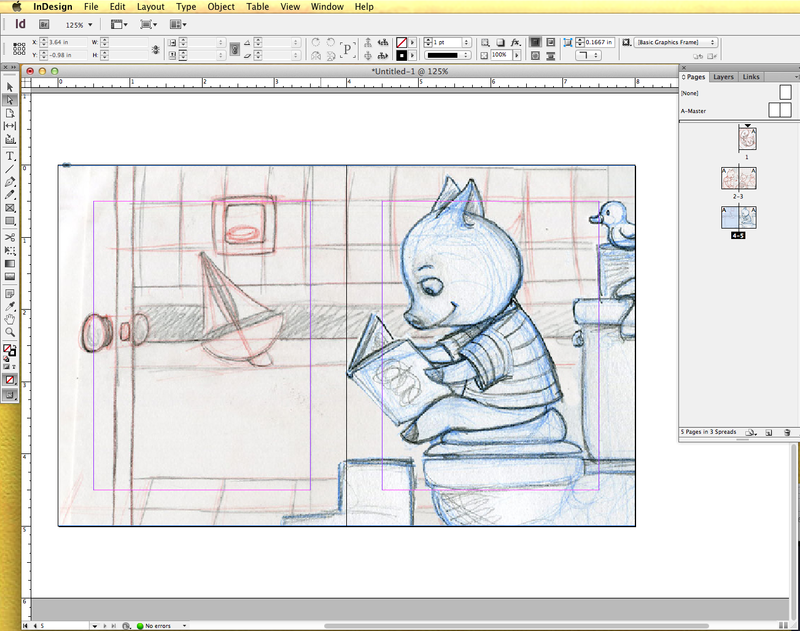 Later, when I'm painting, I scan and add each completed page to the dummy in InDesign as I go. It gives me a great sense of accomplishment as I see the finished pages multiplying and the book really coming together. 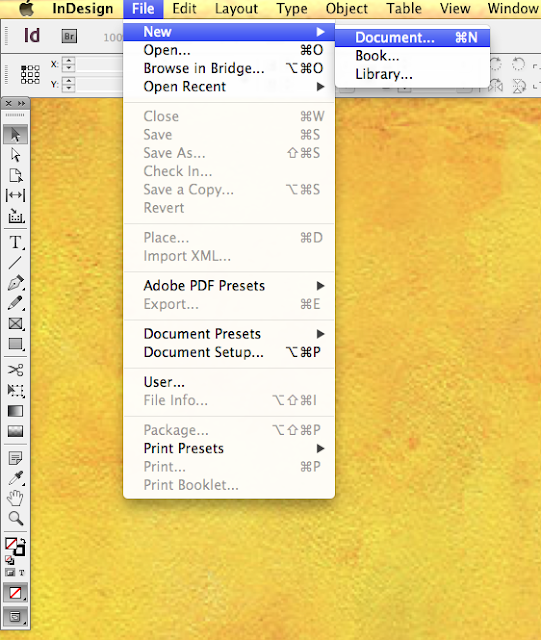 Don't be afraid of using InDesign. This is a very basic usage of it that anyone can handle. I'm using CS6, but older versions work just as well. I hope this helps you on your next project. In a future post, I share how I use this program to plan my physical portfolio.